In two previous posts, we’ve already discussed what header bidding means, how it works, and how to implement it; along with a few helpful header bidding tips for higher CPMs. As with any kind of bidding, all things being equal—header bidding yield is directly proportional to the number of demand partners you have because each additional partner means more competition for the ad space. However, all things are never equal: Since header bidding happens on the client side, low network speeds can increase ad latency beyond the point of diminishing returns. Consequently, there’s no “one-size-fits-all” solution for all publishers. You will need to run your own experiments to find the optimal number and mix of demand partners. Having said that, one thing is certain, it doesn’t matter whether your optimal number is 3 or 13 or 17, the revenue sweet spot lies beyond having just one demand partner. We put together this list of some of the most credible header bidding companies that you can sign up with for your inventory. AOL promises to enhance your CPMs with premium, unique demand; the average uplift is 10-20% with many publishers seeing upward of 50%. Content delivers before advertisements, decreasing latency potential, and operates in a non-biased auction environment. Roxot stops lost revenue by providing publishers with the technology they need to protect their position on the global ad market and to make informed decisions. Their machine-learning algorithm analyzes incoming data about visitors, content, bids, ad placements, and networks/exchanges. It adapts to and understands what’s hot in the market, providing actionable insights into what’s getting the most revenue and automatically pricing each impression with dynamic price floors. Roxot removes the guess work and raises your bottom line. Publisher requirements: Work only through Prebid.js. Other than that no requirements. USP: Their machine learning technology is highly responsive, adapting in real-time with each new user and auction. So now, without the hassle of manually micromanaging, publishers are automatically adapting to fluid market conditions. Payment: Net-60; PayPal, Wire, checks, and/or other intermediaries are possible and discussed individually with publishers. 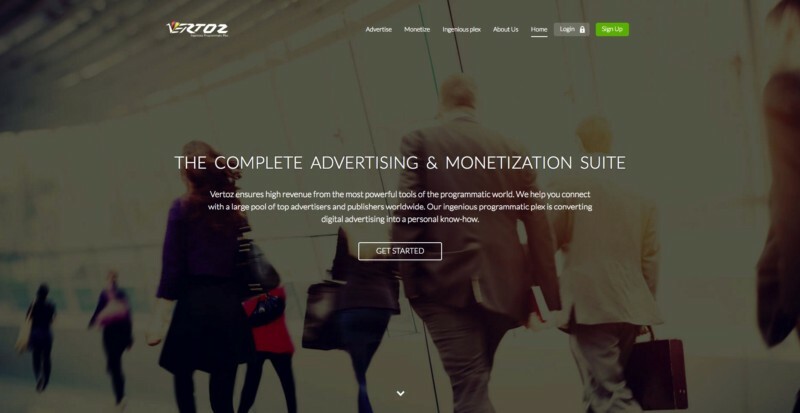 Vertoz ensures high revenue from the most powerful tools of the programmatic world. We help you connect with a large pool of top advertisers and publishers worldwide. Our ingenious programmatic plex is converting digital advertising into a personal know-how. AppNexus, the company that pioneered development of header bidding, has PreBid Enterprise – a comprehensive header bidding solution which offers transparent reporting coupled with robust analytics to give clear insight into your bid dynamics, latency, and performance. You get complete control over header bidding configuration and option to make private deals with your preferred demand partners. PulsePoint offers highly compatible header bidder solutions designed to make it easier for you to run pre-bid auctions. Gain access to better demand competition – with minimal integration hassle. Inventory is auctioned fairly and so you earn the programmatic revenues you need to create high quality content and deliver value to audiences. Sovrn’s Header Suite has a Header Complete feature which gives publishers access to actual bid amounts (instead of estimates), quick response times (240ms), and comprehensive performance reporting for 10+ demand partners per integration. 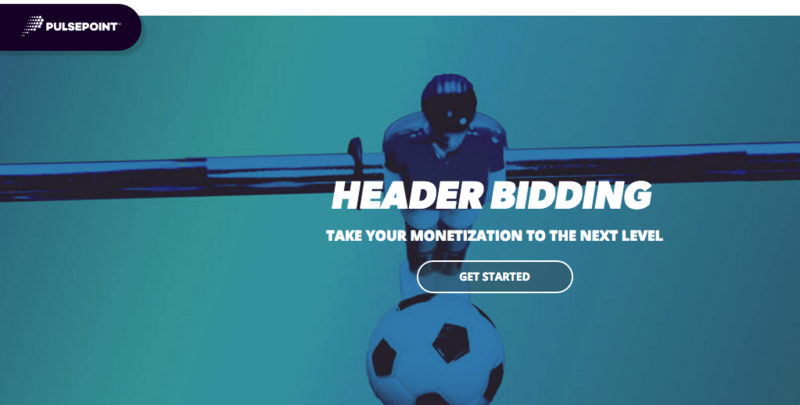 The platform promises uplifts of up to 30% and helps publishers implement a custom header bidding solution. Sekindo maximizes your revenue by using its servers to compete for your ad inventory with real-time dynamic rates. Their wrapper works with your current partners and they guarantee incremental revenue per impression along with higher precision. Index Exchange has been driving innovation in header bidding since they began publisher integrations in 2015. Their Wrapper solution is a modular wrapper made up of a selection of elements that allows publishers to extend control over bidder ordering (static or randomized), choose between mediated or non-mediated wrapping, and offers capabilities like latency controls and prefetch. OpenX Bidder claims to deliver up to 300% more revenue than other header bidding solutions in the market. The OpenX Bidder eliminates latencies, passbacks, revenue-dropping discrepancies, and lets you create your own private marketplaces for real-time guaranteed deals. Your impressions also get secure, high quality bids from premium brands at OpenX Ad Exchange – a powerful programmatic marketplace. Rubicon Project’s FastLane is a full-featured solution to header bidding and bidder management. It lets you offer “first look” to your inventory to specific demand partners. You get a simple UI with controls to configure price tiers, enforce timeouts, manage traffic queues, optimize the setup for higher revenue, and more. 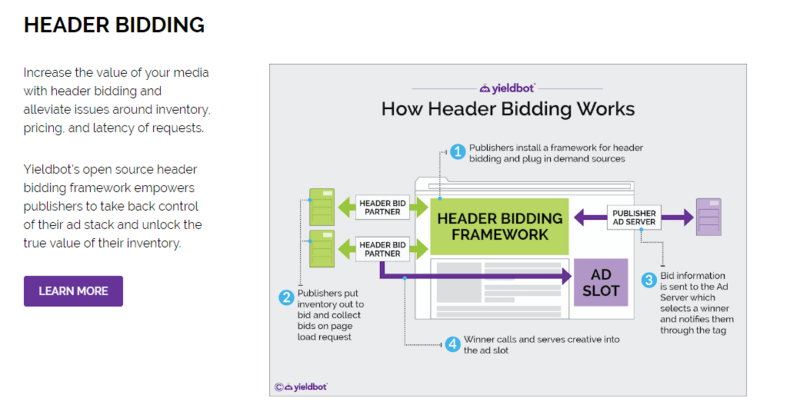 Yieldbot uses an open-source header bidding framework called Pubfood.js. 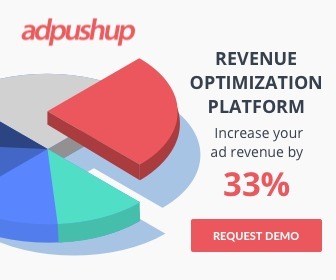 Publishers can load impressions asynchronously and set a timeout while the Pubfood team promises to give you an optimal setup within 72 hours, support for tweaks, and a compact library of your header bidding codes under one timeout. SpringServe’s header bidding solution claims a 20 – 40% revenue uplift from major networks and SpringServe’s own in-house demand partners. The solution also provides an effortless integration and lets you adjust your configuration for easy optimization. 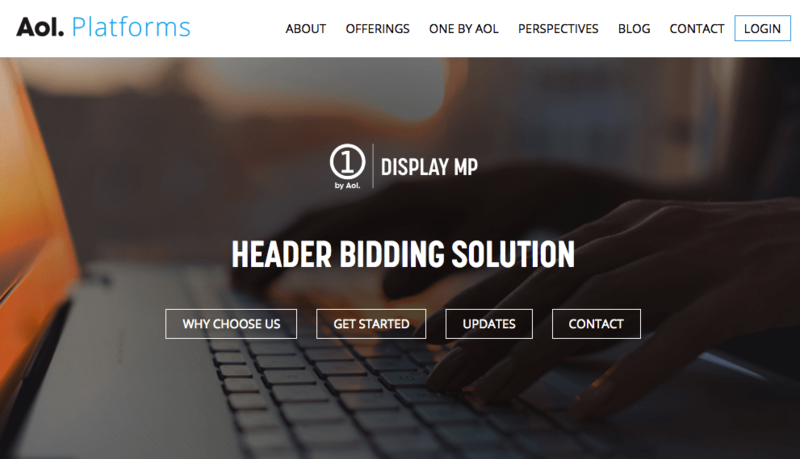 Adform’s header bidding implementation involves their Programmatic Publisher Ad Server for the perfect auction and to simplify the experience for publishers. You can accept bids actual prices in real-time instead of setting static price tiers and evaluate true auctions between open and guaranteed demand before picking the best demand source (Perfect Priority). bRealTime’s Biddr° 360 is a header bidding management interface that gives publishers control and transparency. The simple self-serve interface allows for easy configuration of bidder sequence, enabling and disabling partners, and it comes complete with analytics for strategic management and revenue optimization for bidders and ad units. Brightcom’s header bidding solution lets buyers compete for your inventory and maximize your yield. The platform claims to give the publisher full control of every impression sold via programmatic direct, RTB, or network demand sources. District M’s header bidding adapter consists of 3 lines of JS that can be installed over your existing setup in 30 minutes and taken online in 1-2 days. District M claims no latency, no passbacks, and less than 300ms response time. Publishers also get a full suite of reporting metrics via a dedicated platform and a support team for tweaks and customization. WO Programmatic Digital is a premium ad exchange which supports programmatic sales of display, mobile, video, native and streaming audio inventory via direct, RTB, header bidding, and programmatic premium. The exchange helps you maximize your CPMs by driving competition amongst demand sources. Krux, a leading data management platform (DMP) launched its proprietary header bidding solution in September 2016 for its clients. The solution is enabled via Krux’s native tag management system, SuperTag – which the company claims simplifies adoption and deployment by media owners, while remaining scalable and agile. The GetIntent Header Bidding solution is built on the top of their RTBSuite platform, which contains a huge library of different RTB components written in Java, allowing easy customization and implementation. C1X promises higher yield with increased CPMs through data-backed header bidding. C1X Header Tag, combined with their Audience Pixel feature, lets advertisers bid in real time for specific users. Publishers can always choose to serve guaranteed impressions and use supply forecasting tools and media selling automation to optimize revenue. PubMatic’s wrapper solution allows for streamlined integration with auto-detection and ad-slot mapping. The platform gives publishers granular controls over bidding partners with an efficient interface and comes complete with real-time analytics covering data on volume, latency, and monetization metrics.